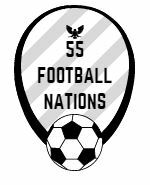 55 Football Nations embarks on its longest single trip. Follow on Instagram, Twitter and Facebook as 55FN takes planes, trains and automobiles, several ferries and possibly a horse to cover the 10,000 miles to Taraz and back. Summer 55FN fixtures: subject to change due to match scheduling, travel blockers and dodgy dealings in the Latvian league. See also map.